Prominent & Leading Wholesale Trader from Mumbai, we offer female - pcb edge mountable sma connector (1.6mm), female right angle sma connector, sma to lassen iq hirose hfl cable, sim card connector mup-c717, mup-c792 8 pin micro sim card connector (push-push lock type) and mup-c792 6 pin micro sim card connector (push-push lock type). 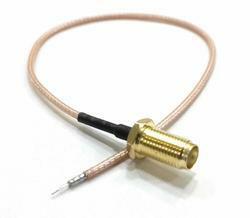 Diameter of Jack 6.1mm / .24"
Width of Plug 6.4mm / .25"
PCB Edge Mountable - SMA-Female RF connector for 1.6mm Thick PCB. Perfect for prototyping with the GPS and Cellular devices that require an antenna connection. These connectors have a female signal pin and will correctly mate with the original SMA- Male type antennas. 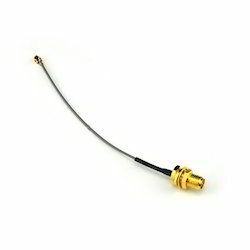 This is a SMA right angled connector, highly suitable for prototyping with the cellular devices and GPS that needs an antenna connection. 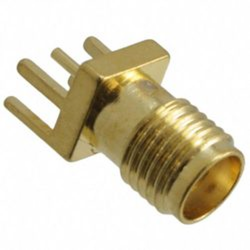 The female signal pin present in this connector correctly mate with the original SMA type antenna and ensures reliable functioning. 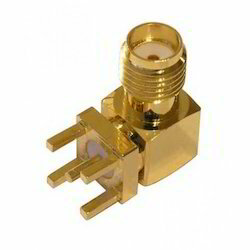 This is SMA Connector to Lassen IQ Hirose HFL cable. We also call this as SMA Connector With Wire. This cable is not compatible with the UFL connector. Description: Straight - SMA RF connector. Perfect for prototyping with the GPS and Cellular devices that require an antenna connection. These connectors have a female signal pin and will correctly mate with the original SMA type antennas. This connector cable interfaces UFL RF connectors to RP-SMA antenna. 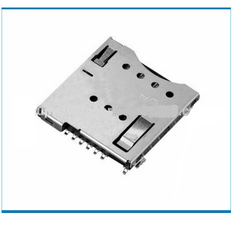 Use it to attach any standard RP-SMA 2.4GHz antenna to the DPAC 802.11 modules. 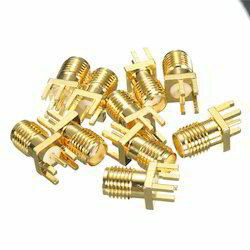 We are leading supplier of U.FL SMD Connector. 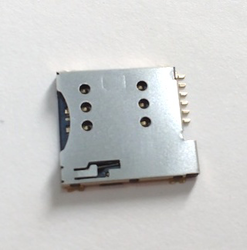 Itty-bitty U.FL SMD connector. 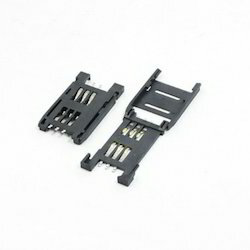 Great for tight PCB layouts that require antenna connections. Description: Ever wanted to see what’s on that SIM card? Use these sockets in your next project to interface to any old SIM. 6-Pin standard connection. 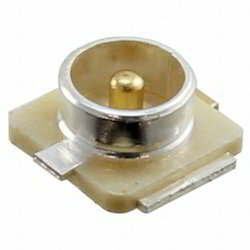 This is a surface mount socket, but it is large enough that it can be hand soldered. 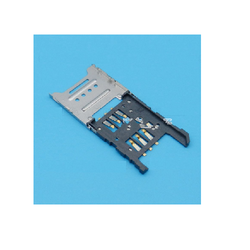 Looking for SMA & Sim Card Holders ?